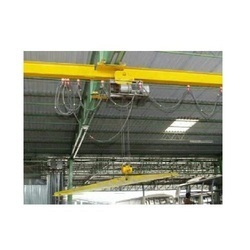 Our range of products include monorail cranes. We have been counted amongst the most trusted names in this domain, involved in offering Monorail Cranes. These products are suitable for transferring loads from one bridge crane to another. These are ideal for production processes that require lifting and moving products along a fixed path, such as painting processes, moving raw materials to workstations, or warehouse-to-warehouse transfer. To get the total satisfaction of customers, we provide this product at most affordable price.